According to Nielsen, viewers are gradually shifting to new technologies but are still watching a ton of live TV. Americans continue to watch most of their TV shows the old-fashioned way, but new Nielsen data proves that the old-fashioned way is fading. According to a Nielsen trends report released on Wednesday, the average American adult watched 4 hours and 32 minutes of live television every day during the third quarter. That's an incredibly high number -- but the number is down 12 minutes a day from the same time last year. The decrease is being attributed to time-shifting and to new technologies like digital video recorders, smart phones, and game consoles. The data underscores what media analysts have been saying for years: Americans are consuming more media than ever, but they're doing it in different ways. The erosion in live TV viewership appears to be accelerating, evinced by Nielsen's "monthly time spent by medium." In the third quarter of 2012, Americans spent an average of 148 hours and 3 minutes a month watching traditional live TV. In the third quarter of 2013, the average dipped only slightly to 147 hours and 1 minute. In the third quarter of this year, the average slipped more significantly, to 141 hours and 19 minutes of live TV per American adult per month. Viewership of time-shifted TV -- mainly through DVRs -- is partially making up for the declines in live viewership, according to Nielsen. Viewership of Internet video -- a mix of short YouTube-style clips and full-length TV shows -- is also partially making up for it. Nielsen found that digital video viewing grew 62 percent among 25- to 54-year-olds versus the same quarter last year, while viewing on a TV screen slumped 2 percent. Among Americans over the age of 55, digital video viewing grew 55 percent without eating into TV screen time. Smart phone usage is growing rapidly, from an average of 1 hour 10 minutes per day in the third quarter of last year to an average of 1 hour, 33 minutes per day in the third quarter of this year. 25 million people who weren't watching video on a smart phone this time last year are now -- the total was 101 million last year, and now it's 126 million. There are now 6.4 million homes with broadband access that watch broadcast TV but don't subscribe to any form of cable, up from 5.4 million such homes last year. About 100 million homes do subscribe to some form of cable. These numbers highlight why many media companies are embracing new ways to get their video to the masses. 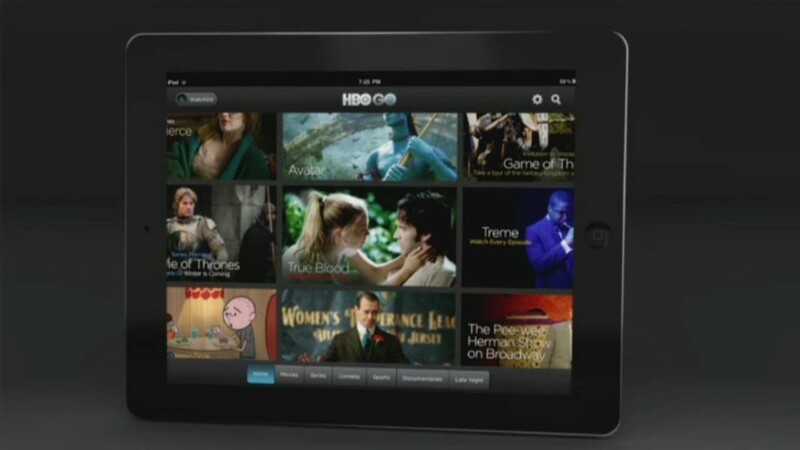 Starting next year, for instance, Time Warner (TWX)will start selling HBO subscriptions via the Internet. Nielsen is trying to stay relevant by implementing what it calls "total audience measurement," reaching across multiple devices and platforms. "Now is the time for a fundamental industry change," Dounia Turrill, senior vice president of Insights at Nielsen, wrote in Wednesday's quarterly report. "Our goal is to deliver comprehensive measurement of all audience and all advertising by following the consumer."